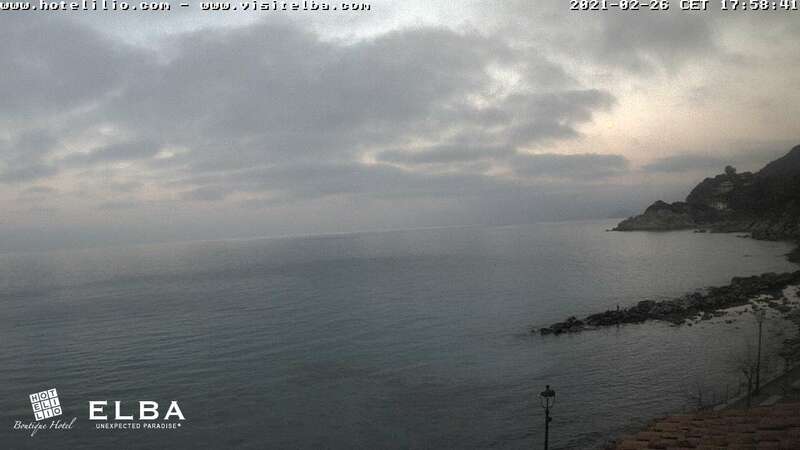 This webcam, set up in Sant'Andrea at the Boutique Hotel Ilio, gives you a full view of the right hand side of the beach in Sant'Andrea and of the cliffs and beach of Cotoncello in the background. The two promontories you can see in the distance are Capo Enfola and Monte Grosso, on the northern side of the island of Elba. Further to your left you can see the Tuscany coastline.